A few weeks ago now when it was still toasty warm – still weird in October! Kiwi and I set out on a little adventure. We had heard that there was a place you could go to and go fossil hunting. Some friends of ours visited after hearing about it on the discovery channel, so off we set. 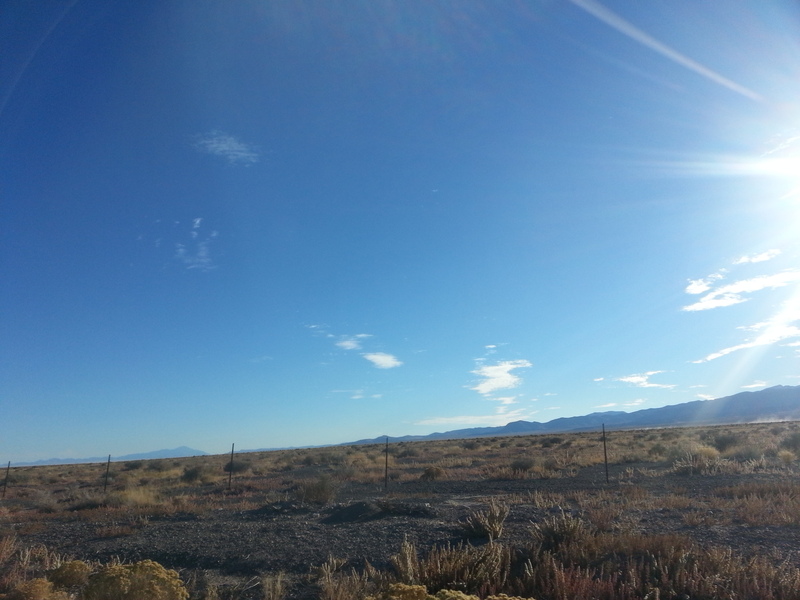 Driving South we enjoyed some new scenery and the vastness of this country. We eventually turned off the main road and followed a dirt track towards some small mountains. Our directions were a little vague, there were no signposts and we had no gps/phone reception. This was a proper adventure, we ploughed on enjoying how much of nothing we could see – no buildings, houses, other cars or people. eventually we found the right dirt track and followed it to the dinosaur quarry. The quarry appears to be a piece of land where the owners have a business, which has a little hut, some knowledgeable and slightly crazy fossil experts and lots of rock. On arrival we were given an info sheet explaining about the different trilobites we might be lucky to find. A bucket. A hammer and hours to explore and hit rocks. 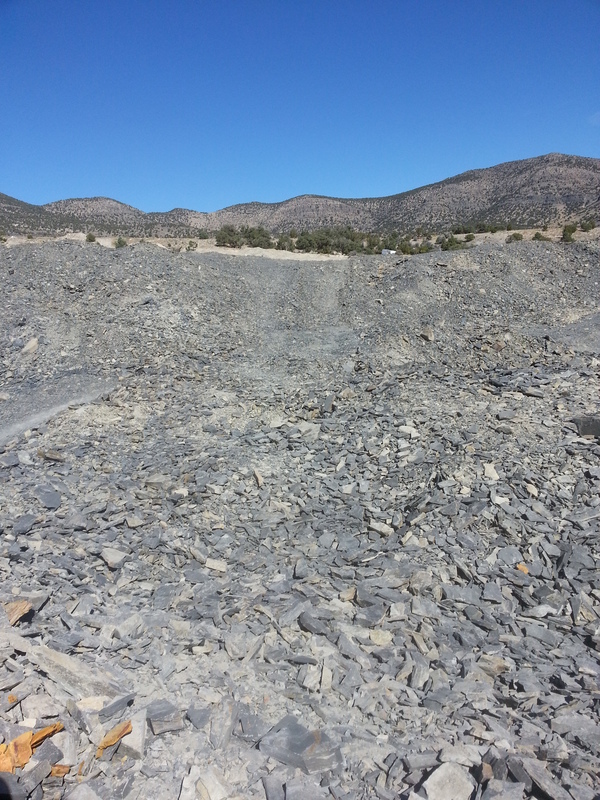 The quarry has various pockets and mounds, which are dug every now and again so as to expose fresh rocks. 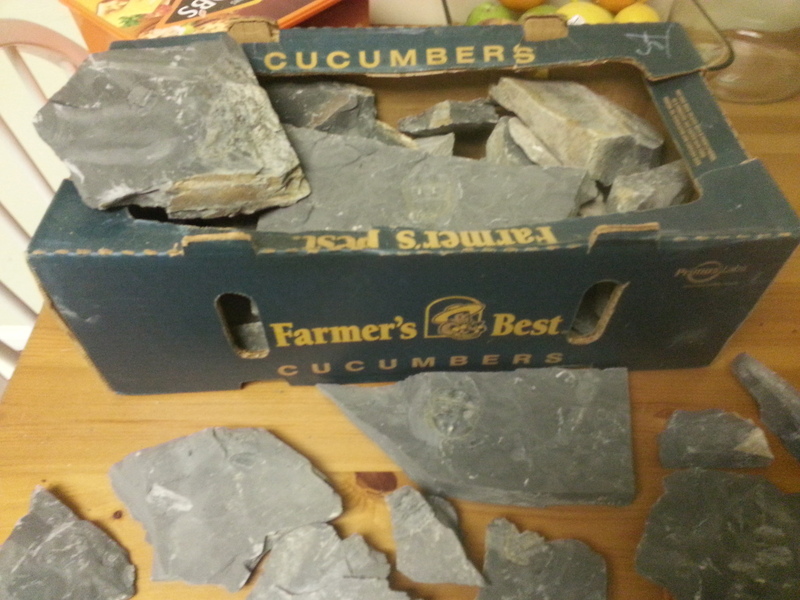 They seem like slate and some of them crumble in your hands. You can either select a lucky rock form the many aorund you or get really keen and dig out a section of rock from the cliff. You then set about carefully smashing your rock with a hammer and seeing if you can find any fossils. I’ve never had so much fun sitting in the dirt surrounded by bits of rock in the sunshine happily hammering away. We found lots of fossils. some small ones, some slightly larger, and a variety of imprints and actual fossils. 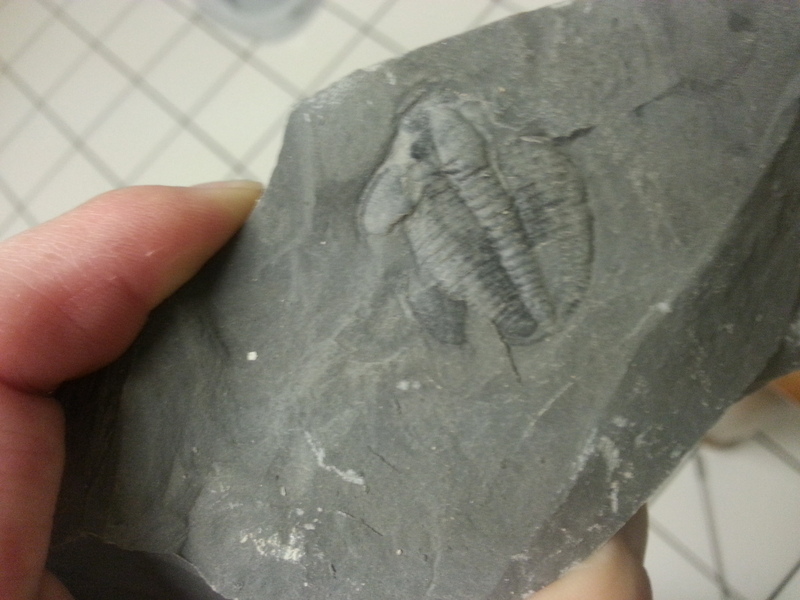 The fossils are all different types of trilobites, as the land was once upon a time under the sea. These pre-date dinosaurs. Somehow smashing these rocks and taking a bucket of fossils home seemed slightly wrong, if not lots of fun. We took some comfort knowing there were millions of fossils at the quarry and Kiwi has set to researching more about trilobites and how to effectively polish and display them. Sadly the quarry is now closed for winter, otherwise we would most likely be going back to find more.